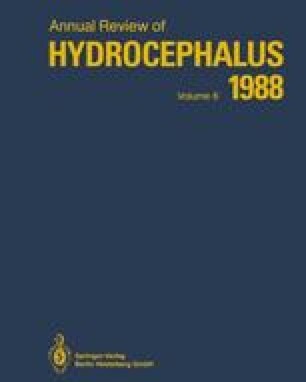 The effects of hyperoxia, glycerol, and ventricular drainage on ICP and CBF were studied in 21 patients with hydrocephalus due to subarachnoid hemorrhage (SAH) or intraventricular hematoma in the acute stage. Ventricular fluid pressure was monitored for ICP. CBF was measured by the 10 mCi 133Xe intravenous injection method. Initial slope index (ISI) of whole brain was used for the CBF value.